Unfortunately we lost our first match with 0-1 against Denmark. Tonight the Dutch team will play their second match against Germany, it's a classic one. I really hope our guys will play at their best and bring us victory. So when we'll applaud them, orange coloured nails are not to be missed on our hands! 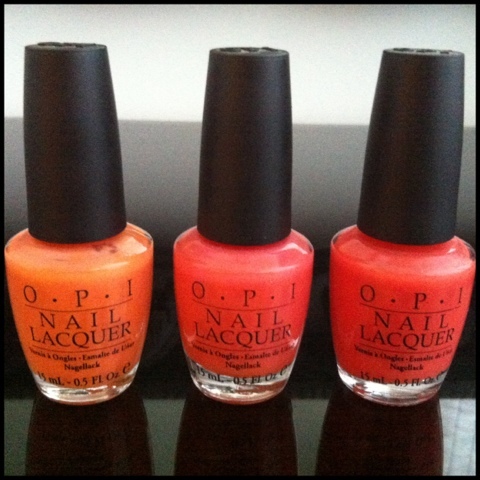 Below my own orange nailpolishes that I'll be wearing during this tournament. Not only is this the 'It'-colour this season, it's a warm and happy colour as well, really moodlifting. In my opinion everybody needs a touch of orange to brighten up their day! 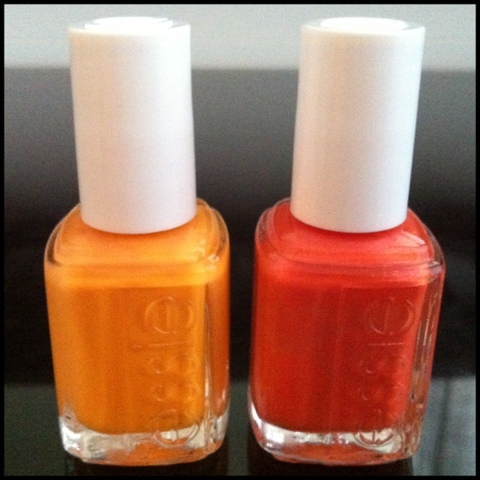 So come on, make sure your nails are coloured orange and support the Dutch team! To all the other teams and supporters, I also wish you all good luck and enjoy the tournament! 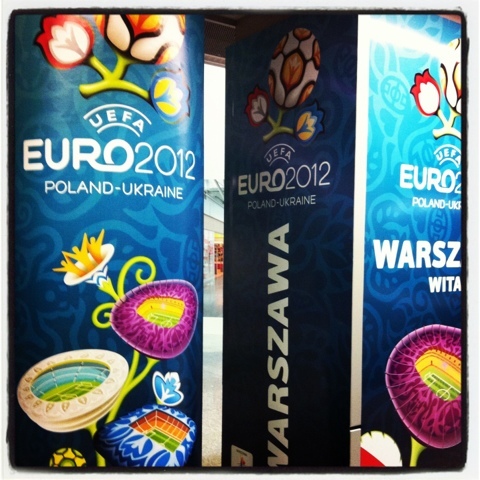 Yesterday was special to me because I was in Warsaw and could see the beautifull stadion from my hotel. Everywhere were big screens and football fans walking around after the game ended in a tie between Poland and Russia. It was special to see and experience this! Love the OPI Nail Polish!!! Love these colors! AND I have been loving watching the euro on tv! So exciting.